Is it really August already? How time flies when you're having fun. Or starting a new business. and we wanted to catch you up with what we're up to. Who doesn't love a good road trip? 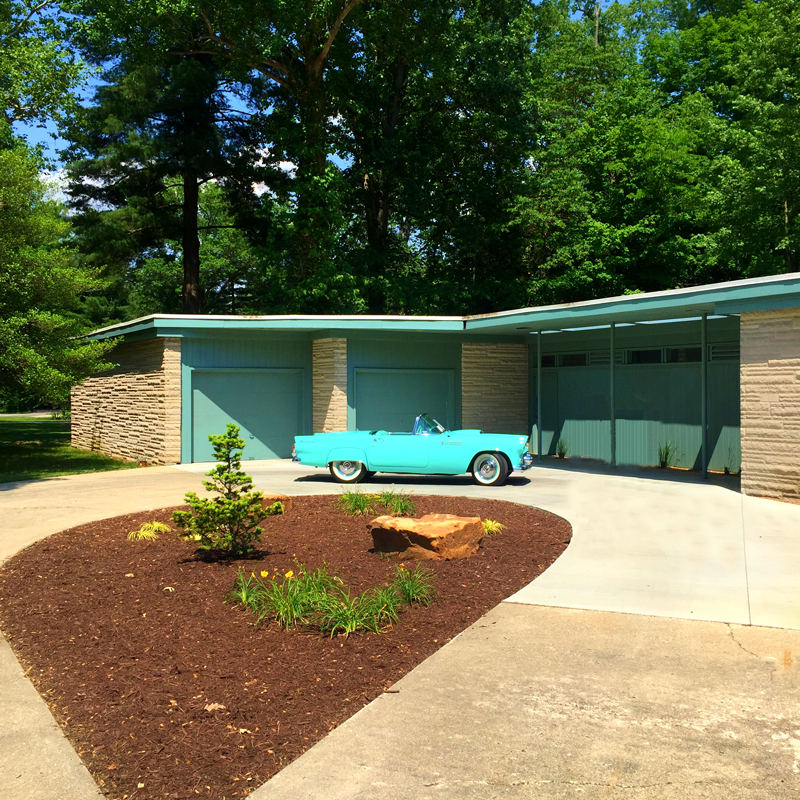 My husband and I kicked off our summer by taking a road trip to Terre Haute for a mid-century home tour and it did not disappoint. You can read more about it by clicking below. 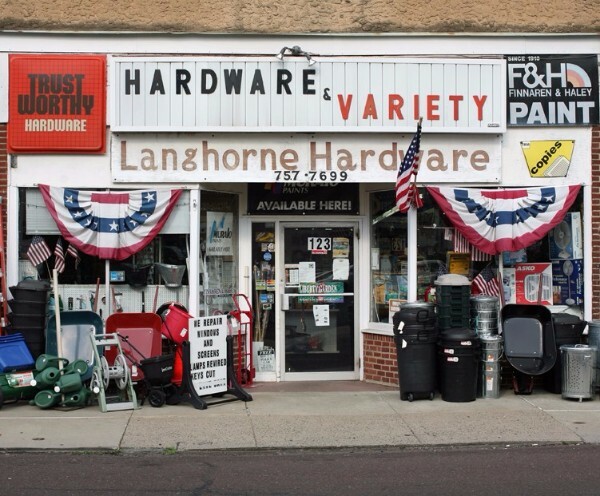 If you haven't been keeping up with our blog, we've written about the dearth of good, local, hardware stores. Do you have a great one in your area? If so, we'd like to hear about it. Have you ever had to make an elevator speech? 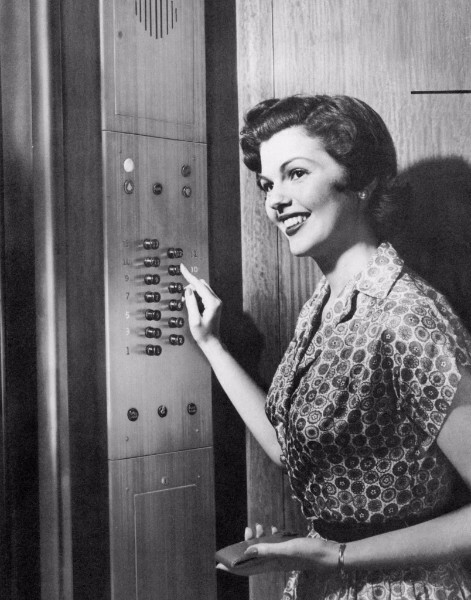 We're looking for ways to explain exactly what products Make it MId-Century provides in a sweet, succinct, elevator-style pitch (even if you hate the term "elevator speech"). Can you help us out? There's a free t-shirt involved for the best suggestion. 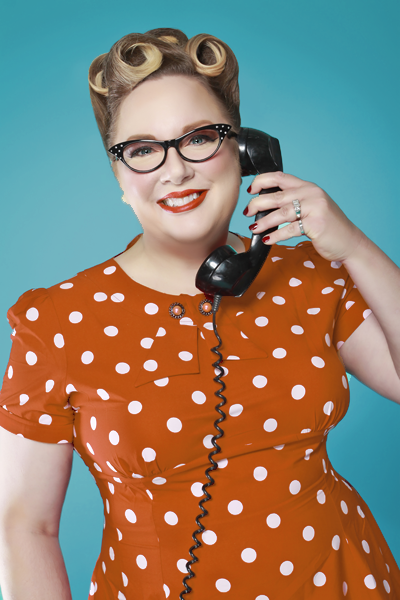 Our latest entry has nothing to do with mid-century. But it's super cute. We adopted a hummingbird for a short while. Well, no, he adopted us. 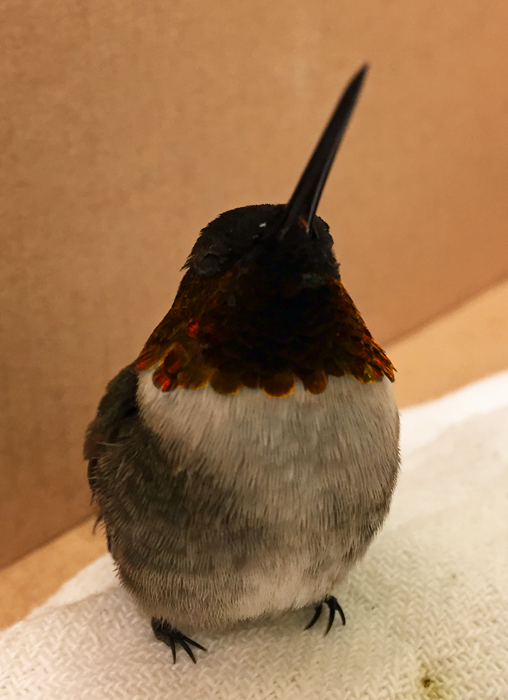 Meet Splat, the ruby-throated hummingbird who crash-landed into our window (and maybe into my heart a little bit). 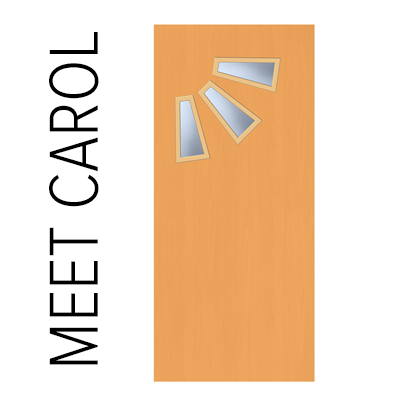 Carol is one of our many exterior door lite kits which strays from the ordinary. Tired of the same old rectangles and squares? Our shapes make our door lite kits different. Circles, triangles, trapezoids and even plain old square and rectangles. We've got them! 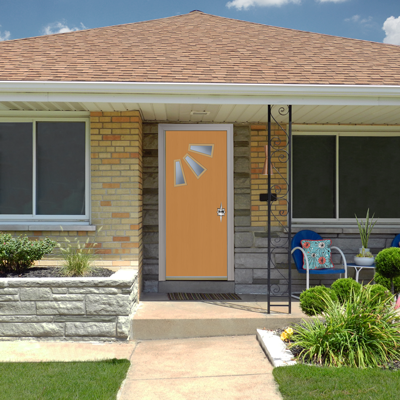 WIth 71 different exterior door kits, 22 interior door kits, and 14 garage door kits, we have a total of 107 kits to make your doors mid-century. Please feel free to share our newsletter. You can use the link below to forward this to a friend. Forwarded email? Not on our mailing list? Click here to join.